Hallohallo has entered into an agreement with the JV company between Ayala Land and Mitsubishi Corp. toward the joint development of a Japan-themed complex commercial area at the Ayala Malls in various cities that are operated by the Ayala Group, the leading conglomerate in the Philippines. The JV will be mainly tasked to provide the shop space, while Hallohallo will propose the theme, concept, design and plan of the commercial area in cooperation with teamLab. Hallohallo will serve as the contact point for attracting tenants on the Japan side, while the participating stores in its franchise chain of retailers and restaurants will consider opening their own shops as tenants. 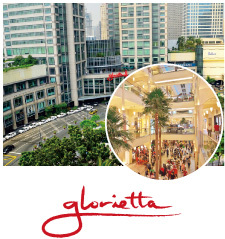 Its ﬁrst project is the complex commercial area with Japanese content that will open on the rooftop of Glorietta (commercial facility operated by Ayala Land), which is located in Makati, the center of business and commerce in Metro Manila. 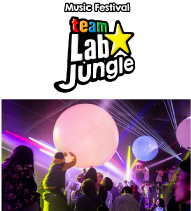 teamLab and Hallohallo will open teamLab Jungle on the said commercial area. 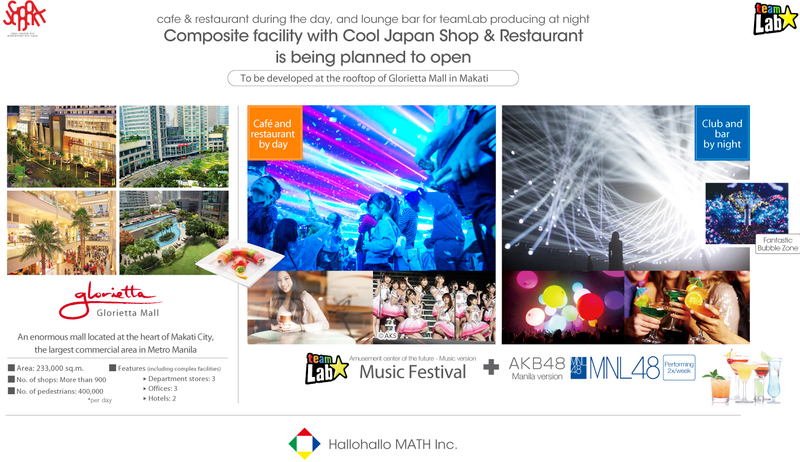 The establishment will be a cafe and restaurant during the day and a club and bar at night where Music Festivals, the typical event of teamLab, will be developed for Filipino families. 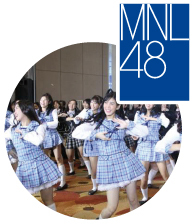 MNL48, the Filipino version of AKB48, is also scheduled to hold shows there. This is a completely new participation - type, interactive music festival where all participants dance, perform and use their entire bodies to experience and create new art with lights and music in a magical art space set by the lights according to the music. In cooperation with Animate and @cosme, Hallohallo will open the ﬂagship store of Cool Japan, which will sell character goods from Japan, and unique and high-quality Japanese products that are not sold overseas, at the commercial area in Glorietta. Hallohallo is also slated to present new themes, concepts and plans to other commercial areas outside of Glorietta. Copyright ©2019 Hallohallo Inc. All Rights Reserved.